Last year Brock, our social media guru and Japan first-timer, headed to Japan’s lesser trodden northernmost island of Hokkaido. Having arrived as a seafood sceptic, he found more than a few surprises. Now I’ll be the first to admit that while I have no problem with seafood, it’s not my go-to food of choice and I was very inexperienced in the world of crustaceans and octopi. All that was about to change; to my great surprise, I found myself not just coping with Hokkaido cuisine, but very much enjoying it! I’ve pulled out my favourite food experiences in Hokkaido (only one of them doesn’t involve sea-dwelling creatures). So if you are in the vicinity of any of these places, be sure to check them out. In Japanese, “Katte” means to act on impulse or on a whim – a pleasant description for choosing your own seafood. After you have picked your bowl size and accompanying base of rice, head over to the katte-don counter that takes your fancy.. Give your rice bowl to the helpful server and decide how adventurous you want to be. I’m going to be totally honest here. As this was my first lunch in Hokkaido, I played it relatively safe and went for mainly fish sashimi, but after tasting the melt-in-your-mouth tuna and flavourful crab, I was willing to be more adventurous on the rest of the trip. For anyone reading this thinking ‘there is no way I’m going to eat raw fish’ I would urge you to give it a go; if you’re going to enjoy it anywhere, it’s going to be here. Finally, grab your soy sauce and wasabi and sit yourself at one of the tables dotted between the stalls. Watch the comings and goings of the marketplace and enjoy! The single seafood-free meal on my list was experienced (yes, it was an ‘experience’) in Abashiri on the north-eastern coast of Hokkaido. I am a huge fan of the Japanese practice of cooking your food at the table; not only do you feel like the world’s best chef but you also get your food hot off the grill! Sitting down in Tamura (whose décor is also pretty slick), you are confronted with a sizable gold-rimmed barbecue in the middle of the table for four people. Sharing is caring! I would fully recommend the beef rib, which I was told came from Hokkaido cattle; it certainly tasted top quality. The meat comes with a selection of vegetables, delicious dipping sauce and, naturally, a bowl of rice. The waiter will turn on your barbecue when you get to the table, so all that’s left to do is to pick up your ornate tongs and get cooking. From a Western perspective, this is a great way to taste Japanese flavours without departing too far from the familiar. The interactive nature also makes it a much more social and fun affair; what better to talk about than some of the best beef you’ve ever had, cooked by your very own self? Everyone loves an izakaya (Japanese inn) so how about trying one with a Hokkaido twist? Internationally, there appears to be little knowledge of Hokkaido’s indigenous race, the Ainu, so experiencing their culture is rarely on anyone’s must-do list. 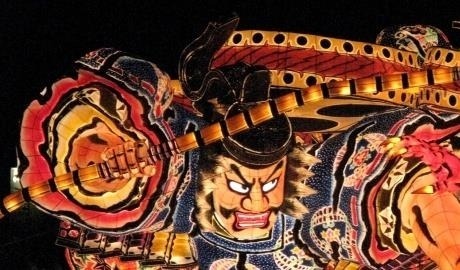 Awareness of their unique traditions is slowly building, and the Shiraoi Ainu Museum will be getting a revamp over the next few years which will hopefully attract an international audience. If you want to go for something truly Hokkaido then experiencing even a little of Ainu culture is a great way to go… and what better way to experience a culture than through its food? Collaborating with the Ainu Museum in Shiraoi, Umizora no Haru in central Sapporo serves a modern twist on traditional Ainu cuisine (with Instagram-worthy presentation). A variety of delicious sashimi, venison and unique sake called Pashport make for a truly memorable meal. If you manage to book the private room inspired by the traditional Ainu ‘chise’ or house, then all the better. If you wanted to give one of the most Japanese of dishes a go after watching Jiro Dreams of Sushi, then the coastal town of Otaru is for you. Otaru, only half an hour away from Sapporo, is perfect for a day trip from the island’s capital. It’s famous for… you guessed it… fresh seafood. If you want to leave it to Otaru Tatsumi Zushi’s professional sushi chefs then I fully understand; top class sushi is an art form, not just in taste but in presentation too. But if you are in the mood for making Japanese food, this place will show you how it’s done. Tie the handy paper napkin around your neck and slide on the plastic gloves (marking you out a sushi newbie) before joining the pros behind the counter. In case you were wondering, the main ingredients are all prepared in advance so don’t worry about any prior sushi-making experience, or any prior cooking experience for that matter; this is definitely beginner level stuff. The sushi chefs make it look easy but you’ll soon find that the simple act of shaping a handful of sticky rice is harder than it looks. Hungry? Us too. 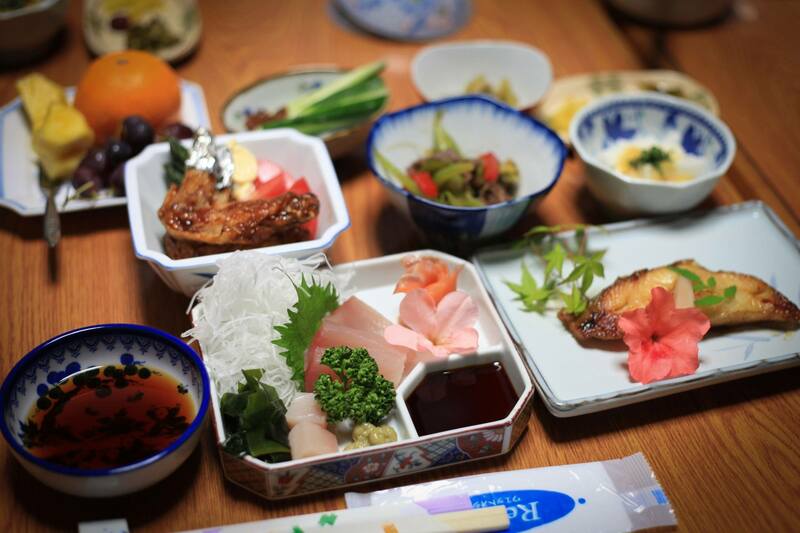 For more information about Japan’s diverse foodie scene and food experiences in Hokkaido, head to our Food & Drink page.